This prompt from ‘theywalkthenight’ is a good description of how I’ve been feeling about my life this week. I have a sturdy ship but I’m holding on to the rudder, bobbing up and down, trying to steer through life’s storms by myself. Direction; unknown. Let the winds blow me to new shores. Some good, some bad and the whole world in between. “Between our dreams and actions, lies this world” — Tom Waits. I had the whole week off again (working weekends) as we are slowed down in the bakery and they hired 4 new cashiers so don’t need me for a while. That’s been OK with me….. I socked away enough to get through this down time. Now I’m in hunker-down mode; if I stay home I don’t spend any money or use any gas. I eat what I have on hand and get a little more creative. Actually make lentils and quinoa, squashes, sweet potatoes and broccoli. Got a big bunch of leeks on sale that made 3 meals even better; used that wild rice in the fancy jar. On top of that we’ve had amazing weather for November. Tuesday was so nice I went for a walk on the beach. I admit I was feeling lonely and doing that stupid thing where I imagine my ex being someone he is not ever going to be. Sometimes I miss him and hate myself for it. We were best friends for 28 years, after all. There I was, walking on the beach on a beautiful day, feeling sorry for myself for being poor and alone. There was only one other person on the beach with her dog, walking slowly, then sat down on the sand. As I got closer I realized it was a friend, and I use that term loosely, a co-worker who had quit without notice a few months ago. She had just left her abusive husband. She was staying in a friend’s trailer with her dog so I drove them both back to my house. When she walked in, she gushed, “It’s beautiful! It’s huge!” which is not the usual reaction by a long shot but compared with where she was living; a warm, bright mansion. We talked all afternoon and she ranted about the crap he’d put her through. She brought back the memories of being yelled at everyday, called names and constant fighting, fighting, fighting. Living in a crappy, cold cottage and having no control of your finances. My friend said she missed the old gang at work. Yesterday we were all there as the big bosses are coming and Health and Safety so we were stocking up, cleaning and getting our Christmas products ready. It felt good being part of the gang. Trained on both sides now, breads and cakes, I started the morning getting freshly-baked breads out and finished the shift making banana cream pies and icing birthday cakes. For that I make enough money to get by and live in this house. It wasn’t always that way. It took at least six months before I didn’t go home crying because my boss was so mean to me. I had crushing anxiety when I started as a cashier but didn’t give up and stuck it out. Now I feel valued as an employee and have friends at work. I have weathered some terrible storms in the last ten years. How many years did I spend being miserable because I couldn’t see a way out? I’ve found strength in myself I didn’t believe I had. 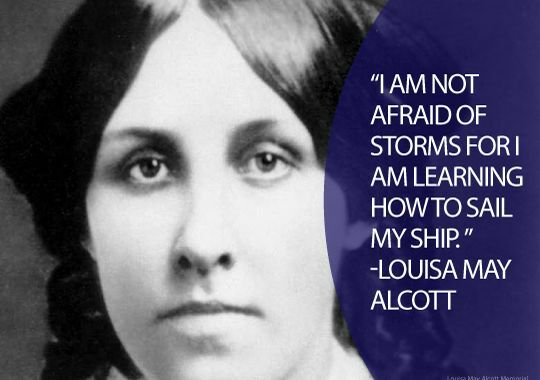 There are more storms in the forecast , I’m sure, but hopefully my ship is strong and my sails unfurled. So glad to hear it. Whatever our circumstances, we need a reality and sweetness check now and then! Hopefullly, your friend will find her own place one day, too, to compare against the wandering time.